In an era of inflation and rising costs, the single biggest challenge to any woman is how to ensure that the day-to-day needs of the family are qualitatively met within a constrained budget? Japanese house-wives, faced with a similar challenge have come together to form a co-operative society and have built a business model that benefits both consumers and producers. The Seikatsu Club Consumers’ Co-operative Union(SCCCU) was officially established on March 12, 1990. However, the roots of the club date back to 1965 where a single Tokyo housewife organized 200 women to buy 300 bottles of milk to reduce the price. The club works under the motto of “Autonomous control of our lives.” It has helped establish a symbiotic relation between consumer and producer by eliminating uncertainties and overheads that exist in a regular commercial market. The society establishes certain specifications in cooperation with the producer and pre-orders the quantity to be delivered. This pre-order collectiveness helps producer guarantee the quality of goods delivered and also removes the uncertainty in knowing the demand for his product. The consumer is benefited as he gets a higher quality good at a relatively lower price. When the club cannot find products of adequate quality to meet its ecological or social standards, it produces them by itself. How does the organization do all this? 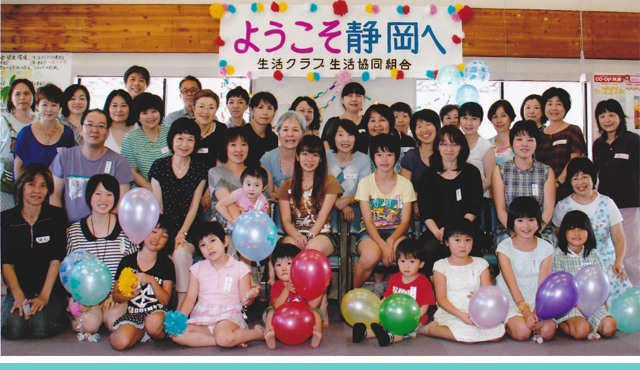 There are approximately 600 consumer co-operatives with 22,000,000 members in Japan (out of a total population of 127,000,000).Most of the members of SCCCU are ordinary housewives. A group of 7-8 housewives- living in neighborhood- constitute a unit called ‘Han’-meaning a small group. Ordering, distribution and payment are all driven by the Han. A Han is not just a basic unit for collective buying, it is also the basic platform for building a well-knitted society. Being mutually co-operative, helps build a society that cares for one another and that shares with one another. Each Han elects a representative to its Branch-comprising of around 50-100 hans-which in turn develops its own agenda and sends representatives to the General Assembly to set policy and elect the SCCCU’s board of directors. The club has shown its commitment towards society by campaigning against synthetic detergents; by reducing CO2 emissions by using returnable bottles and containers; by declaring itself GMO(Genetically Modified Organism)free. The club also aims to diversify working opportunities for women and has committed itself to exploring the scope for a people oriented welfare system. As Japan is an ageing society, the club also has social welfare organizations to provide special cared services for the aged. As a recognition to its impact and positive contribution to the society, SCCCU was given the Honorary Award by Right Livelihood organization, globally recognized as the alternative Nobel prize. Success of SCCCU is a pointer to the fact that women in collective action can play a pivotal role in building a strong, cohesive and ethical society. What has been achieved in Japan is a model that can be emulated in any part of the globe and is a more so quintessential in the current society. As rightly noted by SCCU, housewives can create a society that is harmonious with nature by ‘taking action from the home’.